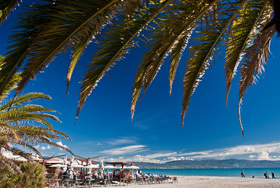 Seven Kilometres of white sandy beach inside the city, the favourite destination for every native of Cagliari - “Cagliaritani” - for a .break all year around. Over 30 metres high, it was built in 1307.The tower was defined by the king Charles the Vth one of the best military works in Europe. 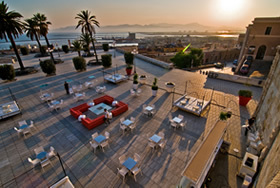 Fortified terrace with panoramic views on Cagliari, rich in Coffe shops and nightclubs. 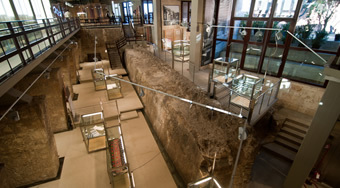 A museum complex where the most important documents and historical artifacts of Sardinia are preserved. 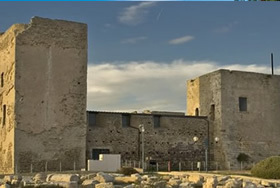 Aragonese building of XIV century located in the attractive Piazza Palazzo, in Castello district. 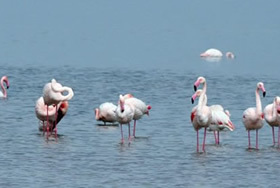 Natural reserve in the heart of Cagliari, a wetland populated by pink flamingos. 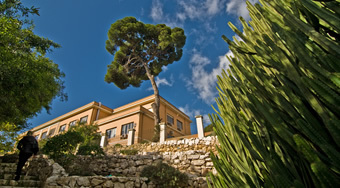 Promontory overlooking the Bay of the Angels which offers a breathtaking view of Cagliari. 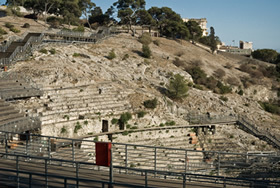 Roman arena of the II century A.D. which hosted gladiators’ fights. 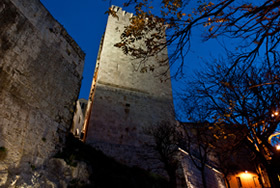 From the Byzantine period, the castle is located on one of the highest points of the city and held military functions. 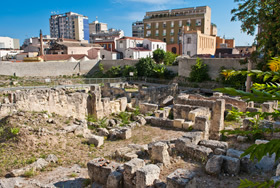 Ruines of an ancient Roman villa of the first century A.D. in an aristocratic neighborhood in the heart of Karales (Cagliari). 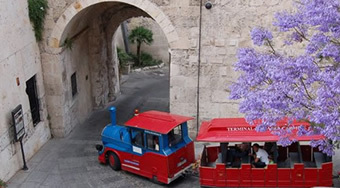 Explore the Interactive Map of Cagliari or discover the selected routes through the city according to Your Interests. 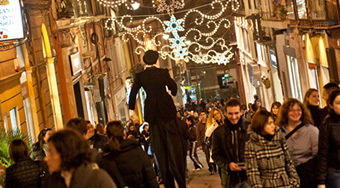 In the charming streets of the old town, you can make shopping surrounded by art, history and monuments. 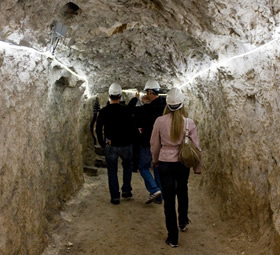 The history of Cagliari through the historical documents and artifacts of the city Museums. 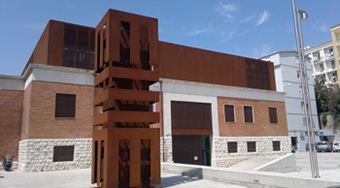 A modern multimedia library which holds the historical and cultural heritage of the city of Cagliari. 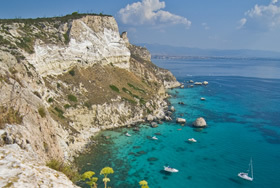 The sea, the beaches, the coast that stretches from Cagliari to Chia (western side) and from Cagliari to Villasimius (Eastern side). 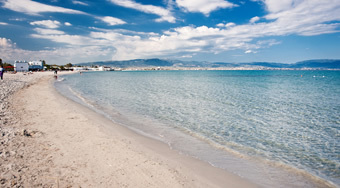 Cagliari, city of pink flamingos, protected oases and nature reserves into the moist area. 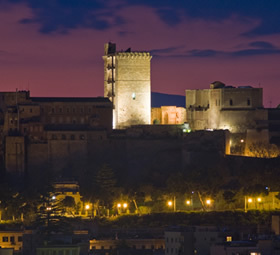 Visiting and living Cagliari, city of history, traditions, fun and breathtaking nature. 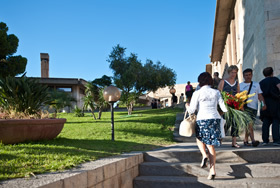 Go to the "Moving in Cagliari" page. choose your favorite way of transport. 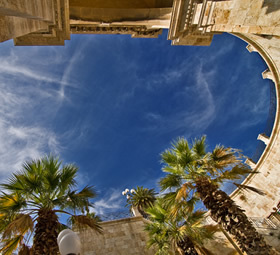 Download the official app of Cagliari Tourism, you'll be constantly updated about the events in the city e you'll can easily find the places you're looking for in your mobile. Available for Apple IOS and Android. 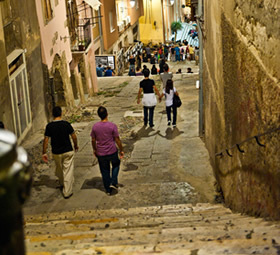 Download the Cagliari guide with maps, placese and information of the city. 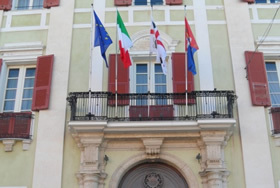 Listen to the story of Cagliari in mp3 format. Download the audio guides dedicated to Major tourist and cultural destinations of the City.